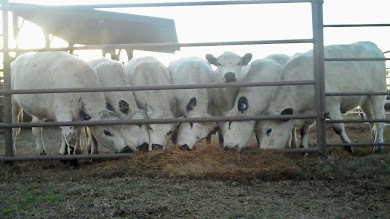 Jimmie's Blog - British White Cattle & More: Is There a Place in this Category for British White Cattle? 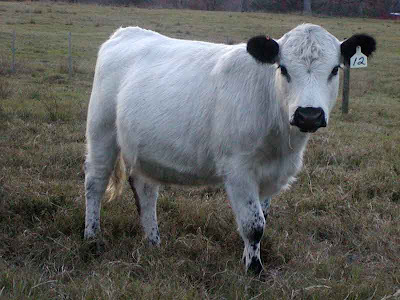 Is There a Place in this Category for British White Cattle? 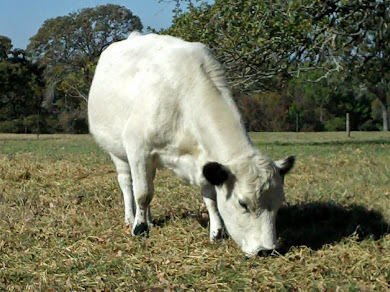 UPDATE 11/8/2011: J.West's Gidget, pictured below, has had her first calf, a pretty heifer calf sired by J.West's S.S. Carter. 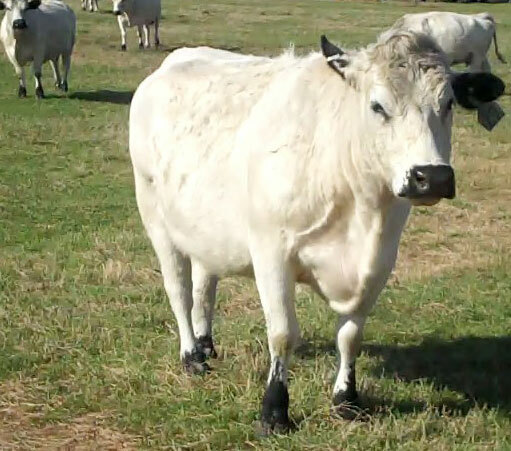 As well, our breeding program focused on low birth weight, Classic frame score 2 and 3 cattle has progressed well the past couple of years and we are commencing sales Classic Frame Miniature British White Cattle. 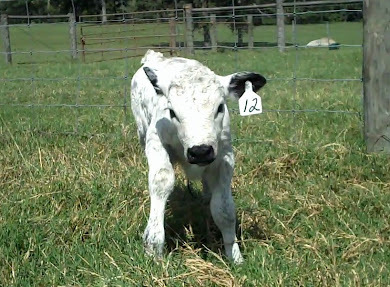 See Gidget and her newborn heifer in September 2011 at this link. 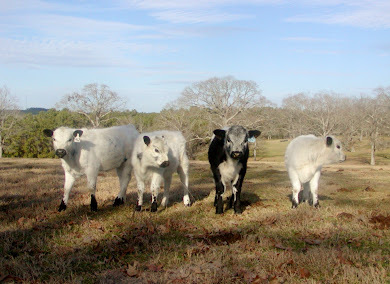 And visit our new web site featuring Classic Frame British White Beef Cattle at MiniBritishWhiteCattle.com. "Although the cattle may be small, the competition was not. The Miniature Zebu, Miniature Herefords and Lowline Angus Cattle shows highlighted the morning activities in Reliant Center Tuesday. Dottie Love of Fancher Love Ranch in Ennis, Texas, stood with her 4-year-old miniature Zebu cow "Rocket," as she waited to walk in the show ring. "Rocket," full-grown, stands about 35 inches tall and weighs about 300 pounds. 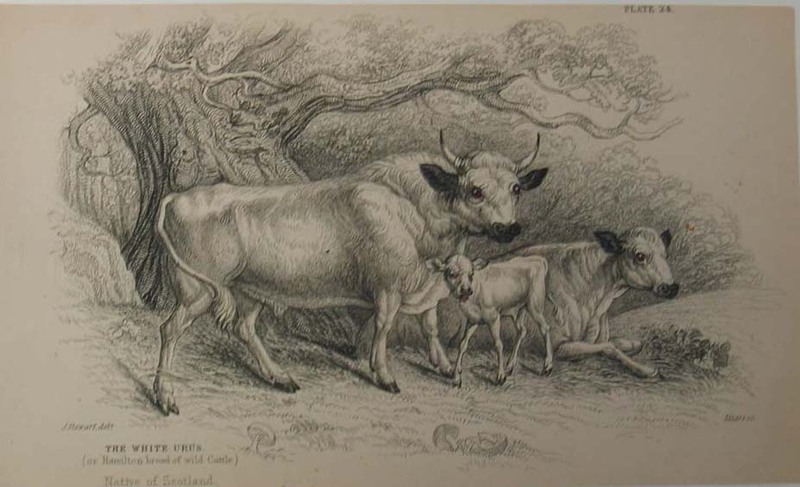 "Zebus are the smallest breed of cattle, but are naturally sized," Love said. Along with Love and "Rocket" was the cow's 3-month-old calf "Roosevelt," who compares in size to a young Labrador Retriever. Love said the Zebu breeds have characteristics similar to Brahman cattle and that the term Zebu actually means "humped cow." The breed was brought to the United States in the 20th century for use in zoos and also as circus attractions, she said. Their small size played a role within the "side show" acts. 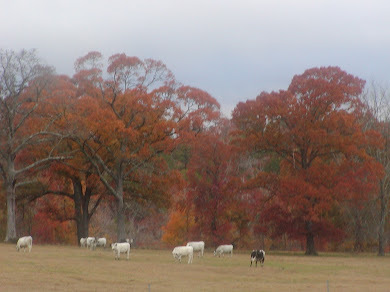 Region 6 director of the Miniature Hereford Breeders Association Greg Schulz said, "As long as there have been Herefords, there have been Mini-Herefords." This is Schulz's fourth year to bring his Miniature Herefords to the Show from his ranch in Bay City, Texas. He said most Miniature Herefords are likely a descendent of a bull named "Anxiety IV," and that they are all registered with the American Hereford Association, just as the larger Hereford cattle. 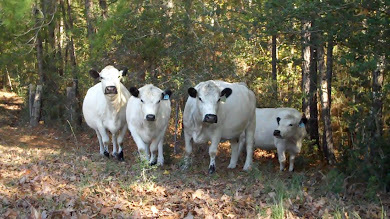 Miniature Hereford mature bulls must stand less than 48 inches tall, while a mature female can be no taller than 45 inches. The average weight is between 700 to 1,000 pounds. Trevor Smith, founder of Smith & Associates in Kiowa, Colo., brought his Lowline Angus to the Houston Livestock Show for the second year. His business is a Lowline marketing group that specializes in breeding, sales, herd consulting and more. "Lowlines are the descendants of Angus cattle," Smith said. "They are the result of a 40- year breeding project." With an approximate shoulder height of 40 inches, mature bulls weigh between 1,100 to 1,800 pounds, and mature females weigh between 900 to 1,100 pounds, Smith said." ********Source: HLSR Web, follow title post link above.